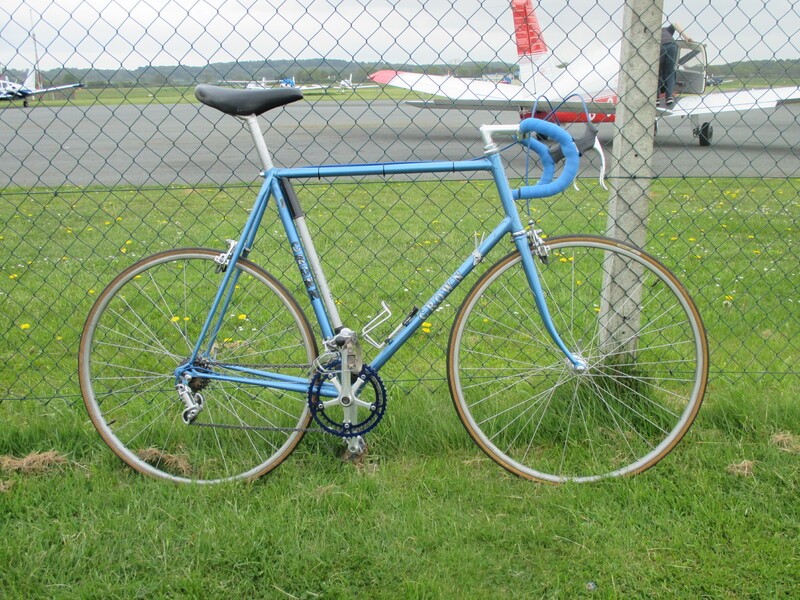 The tenth Major Nichols Ride was held in the lower slopes surrounding Bobbington Airport, just west of Wolverhampton and south of Bridgnorth in southwest Staffordshire. Originally this area was chosen because it was one of Major Nichol’s own haunts for his Wednesday pub lunches at the Royal Oak but this year that pub had closed and instead we were most happily looked after for lunch by the Red Lion at Bobbington. 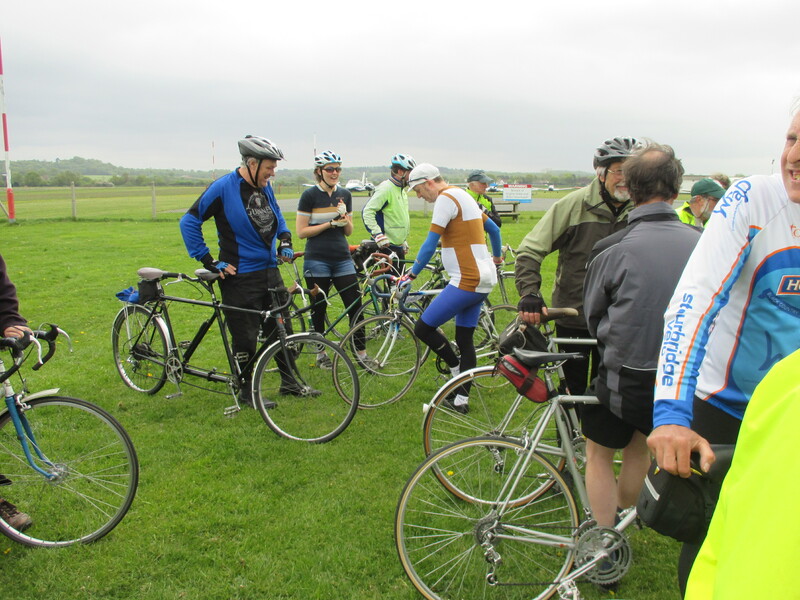 A splendid turnout of some 26 riders took to their wheels on a day forecast to be warming during the day but which in fact had a cool brisk wind much of the time – until we got back when the sun finally came out fully! 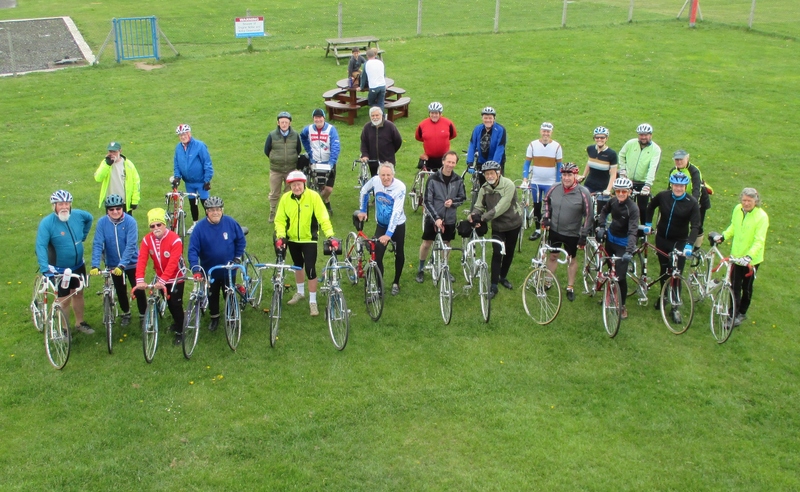 After a slow start we left the Haven Nursery, crossing over the road for coffees and teas at Bobbington Airport Café and finally for a photo of the massed Major Nichols and riders. Amongst the riders were men who grew up with their Majors, others who were just starting out with the Major story and some just along for the ride! 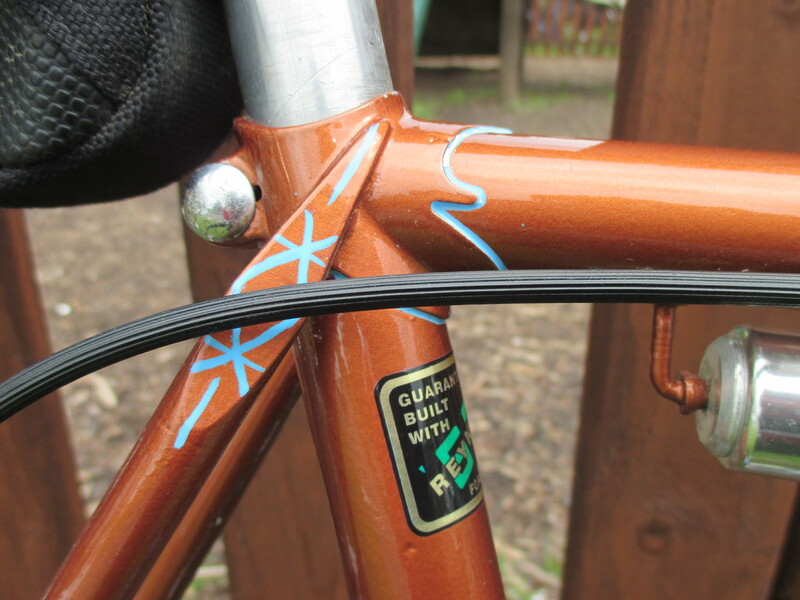 We welcome all of you and if you and your bike are not mentioned in this short introductory text, I am sorry – collar me next year and tell all its good features and the part it has played in your life and I will be able to expound on it. 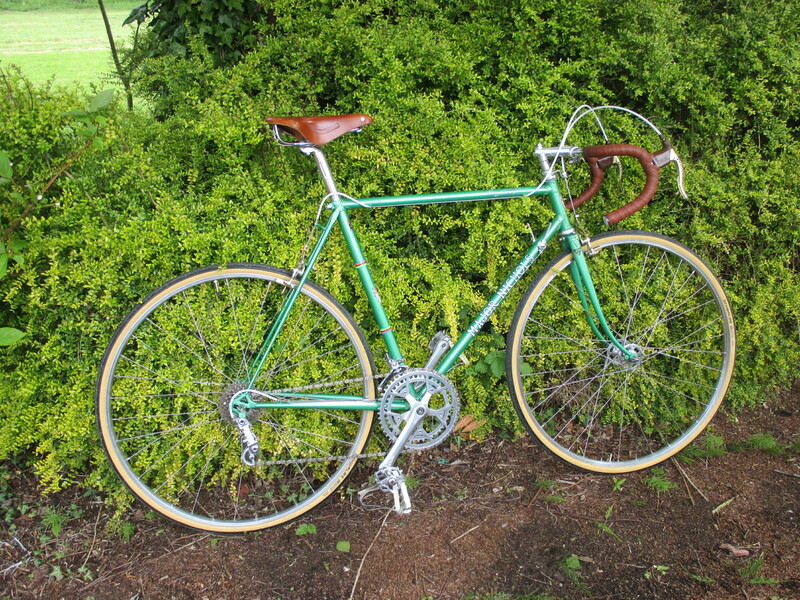 Ian Thomas was again riding his original condition Wilson, first seen last year. This is of course a beautifully finished Major Nichols under the skin. Ian had however also brought with him his more recent acquisition, MN 6961, which although now refinished as an Alan Richards, is a machine that had been built for Anthony (Ant) Taylor and thought to be one of the frames that Ant used in his successful BBAR year of 1969. That was an average speed of 25.670 mph over three rides – a 50 mile, a 100 mile and a 12 hour time trial. Hard work! This advertisement is from Cycling Weekly 15 October 1969. It is currently the only known piece of advertising by Major – prompted of course by the success of Ant Taylor. And it is thanks to Ant that we have been made aware of it! 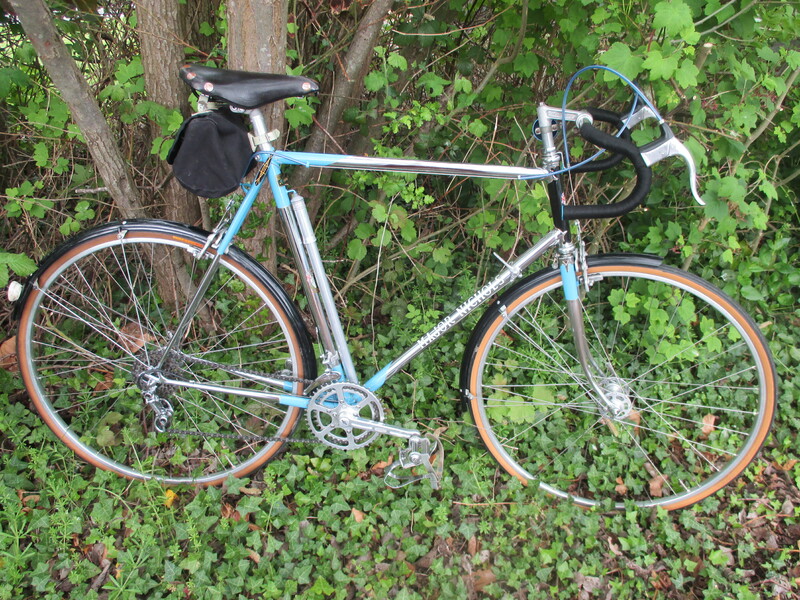 Another pairing with a strong racing connection was Roy Stevens riding his MN7169 – the actual bike he raced on, back in the 1970s. A startlingly early MN was ridden by John Jones, who made the discovery of this machine without being able to flush out much history for it. 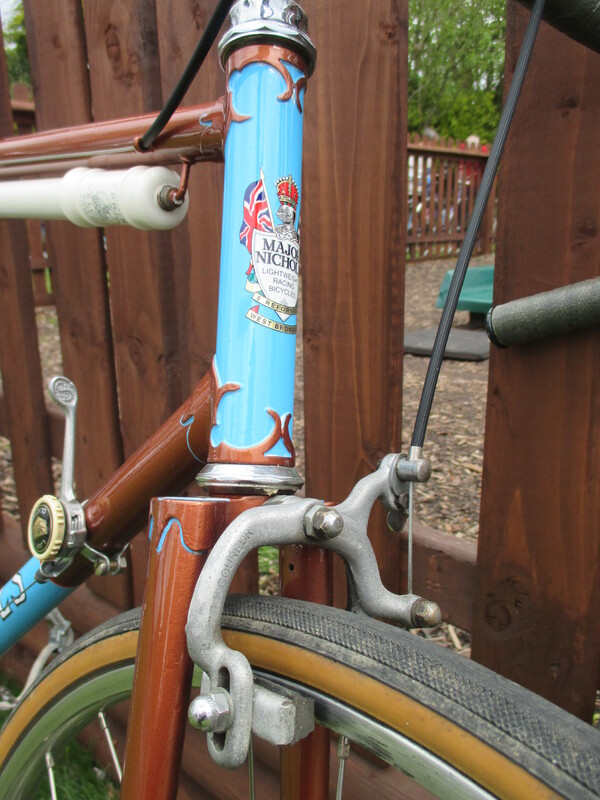 Badged as a Major Nichols the frame carries 10583 stamped on the bottom bracket along the same axis as the downtube. 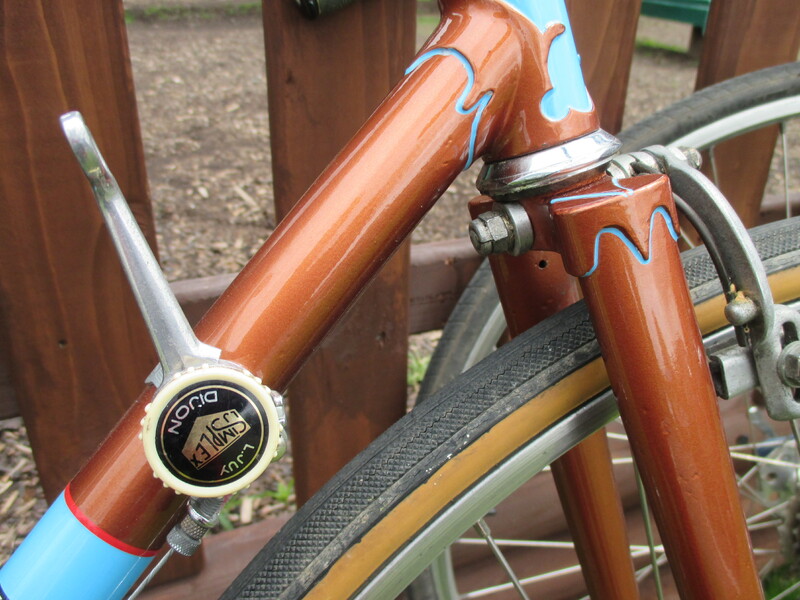 Early features of the frame include the tulip front fork dropouts, the Nervex Legere main frame lugs and the short chamfer top eyes, features suggesting the late 1940’s. The transfers are unlike any other surviving transfers although they resemble some described as preceding the usual types and remembered by Mike “Tiny” Nightingale in correspondence. 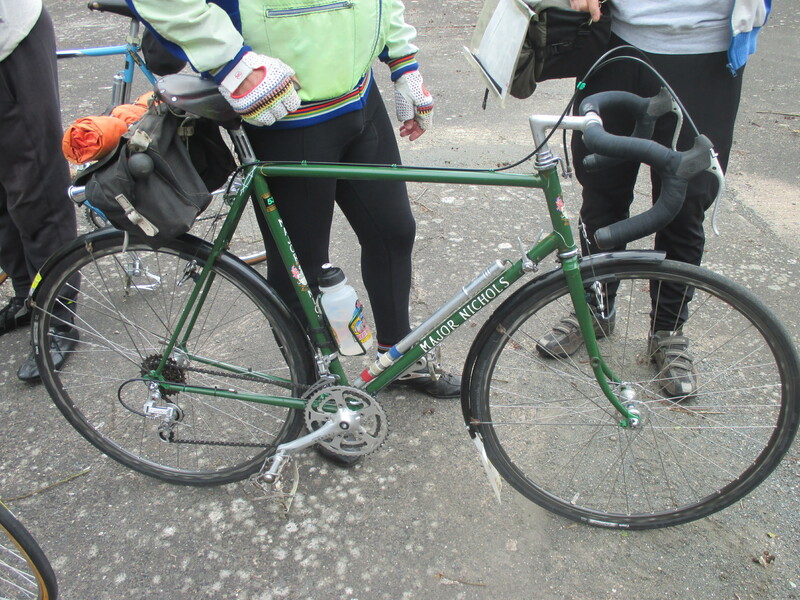 This machine may be an early frame built by Major – or just possibly one built for him by Centric Cycles. One unaccountable feature is that at the crest of the insignia is MNA: now what can that tell us? Simon Penfold and Geoff Evans came up from Sussex bringing two gorgeous Majors. 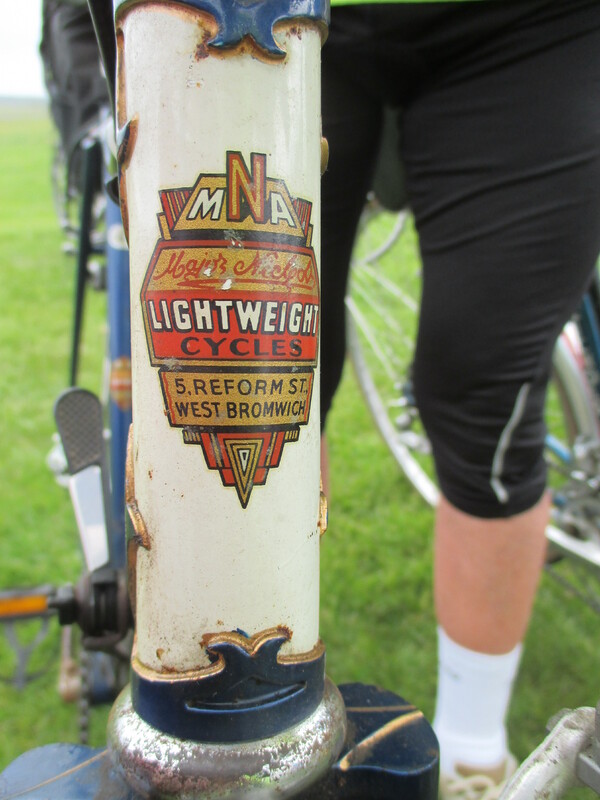 The earliest, MN 5518, our third oldest recorded bike has been with us before when it was then owned by Tim Harris and later by Robin Walker. MN 5518 is one of life’s peacocks and now struts magnificently in copper and blue. Simon had brought MN 6513 a perfect example of another top class West Bromwich period machine, probably the machine built for Phil Boulton in 1965 but for which we know nothing else until reportedly owned by Alexander Von Tutschek sometime before Simon fell for its still original charms. So much chrome is almost impossibly rare for a Major! 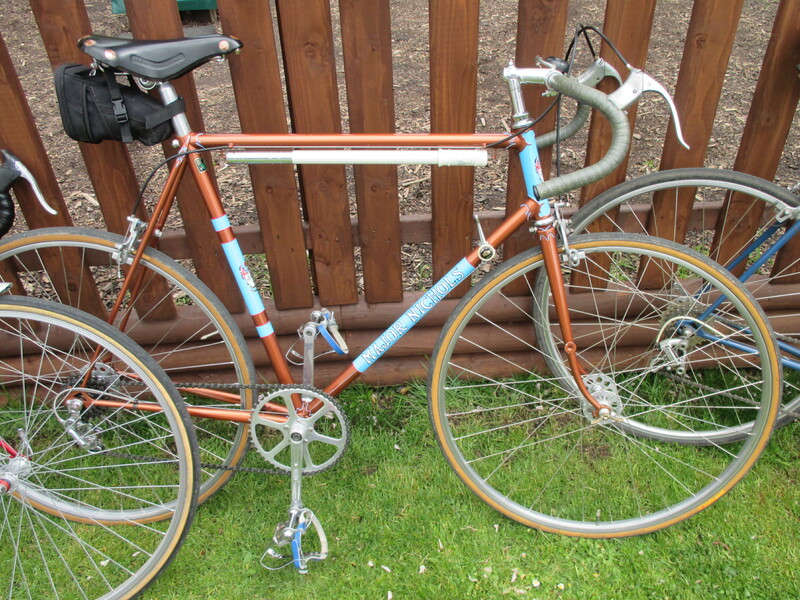 Simon tells me that another rare exotic machine means that he needs to sell MN 6513 whose seat tube is 24¼ inch. MN6513 with Nervex type lugs but now a full wrapover topeyes and that chrome work. Roger Johnson had renovated his 1965 West Bromwich MN MN6596 to a similar level of perfection as the two previous mentioned beauties. Just another show stealer in the present company – but what a wonderful collection of riches we had there. Eventually we did leave the airport to proceed on our ride, though not before your scribe had fallen off his bike when riding into another bike due to gawping at yet another bike. So dangerous these attractive machines! 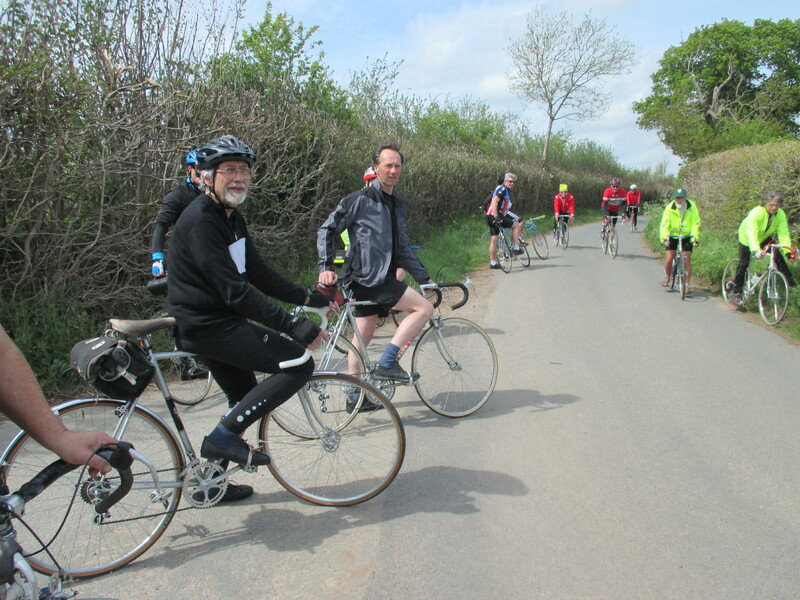 We had a short flattish 8 mile ride to the lunch stop where we able to reassure ourselves it really was true –we had seen all these great Majors- because there they were again and the sun was still shining. 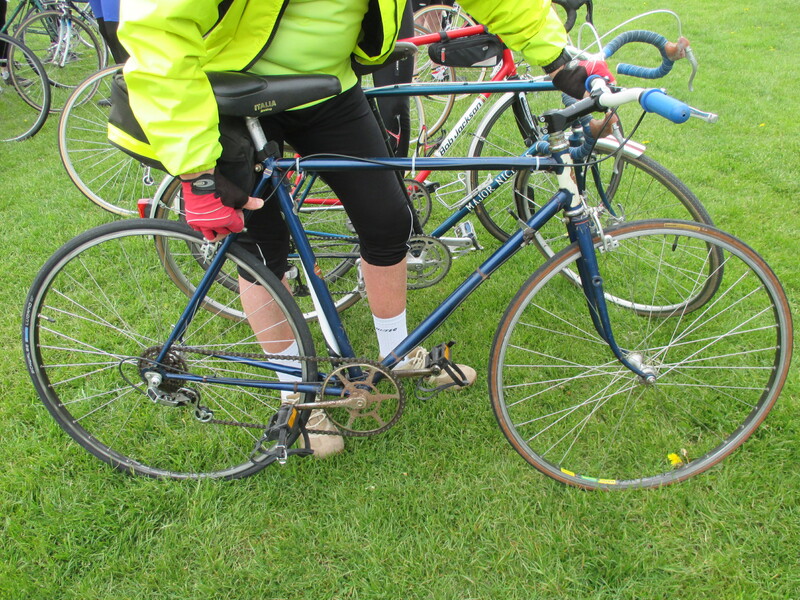 While there we were joined by Ant Taylor, who despite warning that he could not make it, had felt the fateful attraction of beautiful bikes. We thoroughly enjoyed your company Anthony and hope to see lots more of you in future years. And to whet the appetite of readers Ant has now shared his racing records with us so we hope to recount some contemporary views of 1960’s competition philosophy in the near future. After lunch we rode into the lanes and far away. 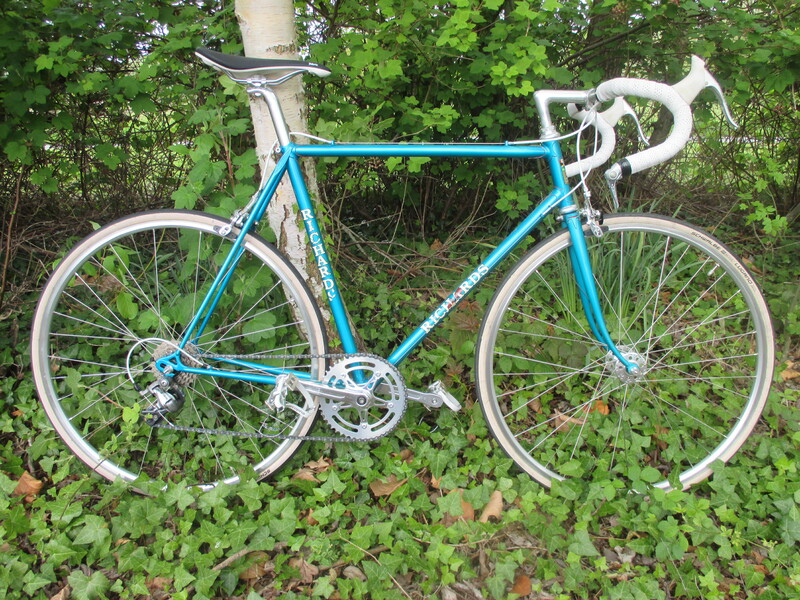 That’s just about all folks – the road leader was at the back and when asked the way had no useful ideas left – he was away from it all being still dazzled by chromed topeyes, rare transfers and how to account for it all. But we did get home and by missing one corner off the mapped route we were back early. We will finish it off next year never fear!